The plastic bag law went into effect today (Jan 1, 2017) in Israel! As of now, there is a mandatory fee of 10 agurot for each plastic shopping bag you use when you shop at the large supermarket chains. Some things you should know about this law: 1. The plastic bags that cost 10 agurot are THICKER than the old plastic bags were allowed to be. They cost stores more to produce, and the fee you pay for them is NOT kept by the stores! It is passed on to an environmental organization. The hope is that people will start to take A LOT FEWER bags from the stores. 2. 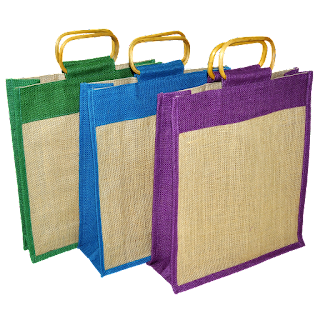 Some stores will be giving out free reusable bags from today thru Jan. 17th - depending on the size of your order (a purchase of over 100 nis gets you 1 bag, 250+ nis gets you 2 bags, 400+ nis gets you 3 bags, 550+ nis gets 4 bags, and 750+ gets you 5 bags). 3. You will be able to buy reusable bags at supermarkets for about 3 nis per bag. Let me know what price your store is charging for them! In addition to these free bags (some of which are actually quite flimsy), you'll probably want a few additional bags, especially the kind that fold up small. Some people will be making their own bags, but if that's not for you, I wanted to help you source some inexpensive bags that will work for your shopping. If you don't want to buy bags, you can also make your own. I've seen a lot of great tutorials out there. They vary from simple no-sew bags to intricate funky bags you really need sewing skills to make! Find your favorite and tell me about it!